Does your business have bulk pallets of the same product? Do you need to store as much product as possible? Would the LIFO (last in, first out) principle work for your warehouse? If you answered ‘yes’ to any of these questions, drive-in pallet racking could be the perfect solution for you. What Is Drive In Racking Used For? 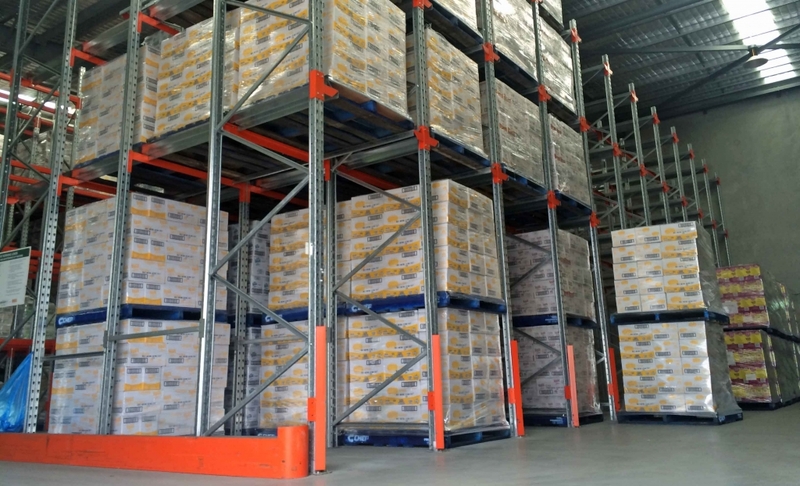 Drive in pallet racking is one of the best ways to store pallets in a high-density configuration, as you have the option to increase the number, and depth, of pallets as you require. Regular pallet racking only gives you the option to pick and store pallets from a front location. Drive in racking, however, allows you to drive down the aisles and pick from however deep the pallet is and whatever level the pallet is on. 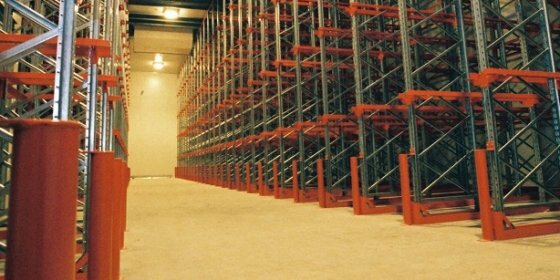 With this system, you eliminate the need for an aisle, as you can drive into the racking system, allowing you to pick from the first, second, third, fourth or even 10th location deep (depending on how you set up the system). It is a system based on cubic volume, because each square metre is being used to store product instead of having space wasted with an aisle. 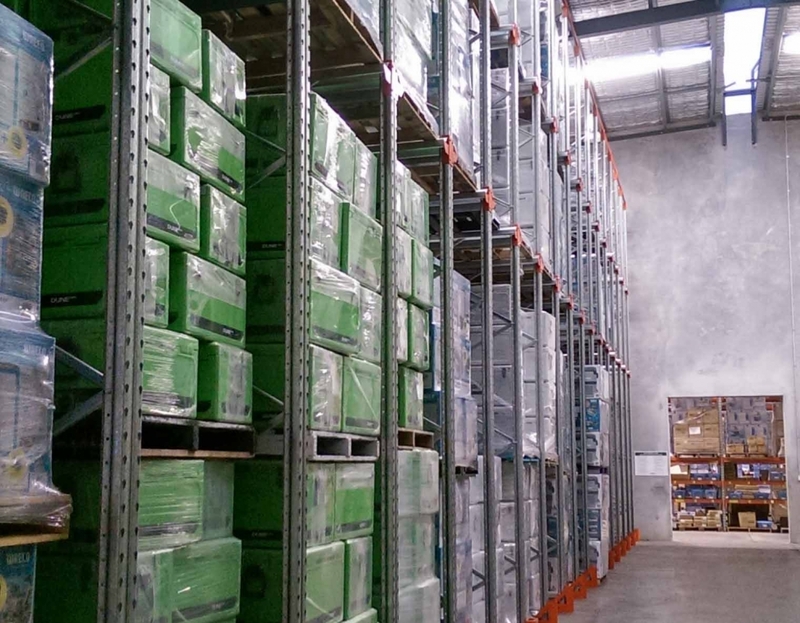 Drive-in pallet racking makes the most of your warehouse space with the ability to store a large amount of pallets, especially when it’s a confined area or has deep voids to fill. For example, cold rooms and freezers are notorious for having limited square meterage. Using a drive-in system would allow you to maximise the storage capacity, with the pallets numerous in depth from floor to ceiling. Drive-in pallet racks are also ideal for clients who have a corridor they wish to maximise. In this case, you can run your drive-in racking down the full length of the corridor, storing a great number of pallets in what was once an unutilised space. 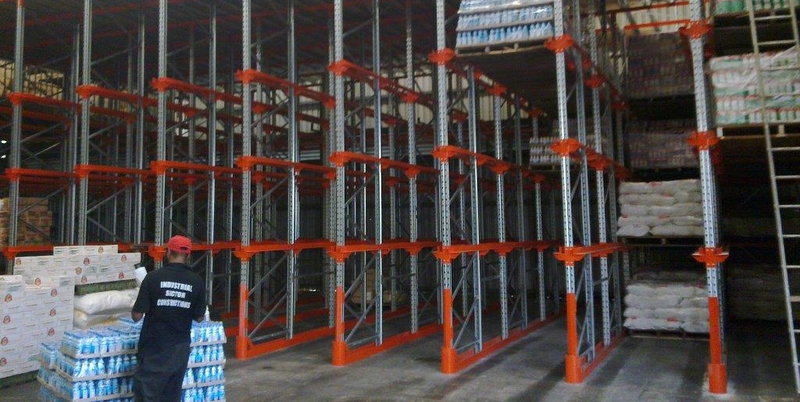 With the ability to adjust the height, depth and number of levels, our drive-in racking systems can be tailored to suit your warehouse needs. This gives you the option to store the same amount of product if you have a low roof but wide floor area or a high roof with a narrow floor area. Whether your area is deep or shallow, we can create a storage system for your space and product. 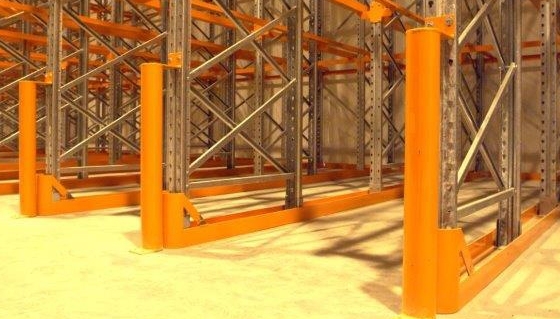 We can even offer our drive-in pallet racks in a double-entry configuration. This is where you can access the rack from both sides, as well as drive in from both sides. This option is extremely efficient for delivery and dispatch storage, where you can store product in ‘daily runs’ or ‘intake’, to form a clean and organised operating system. Heavy-duty components (we can ramp up the thickness of the steel in the rack to increase weight loadings and help prevent minor damage). These rack protection options ensure your drive-in racking remains in top condition. 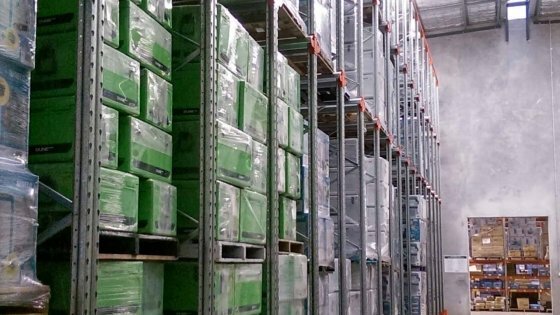 If you want to explore the option of drive-in racking, talk to the experts at MACRACK today and discover what we can create for your warehouse and your storage needs. Call us today: 1800 048 821.